The Data & Marketing Association is a trade organization based around consumer data marketing. 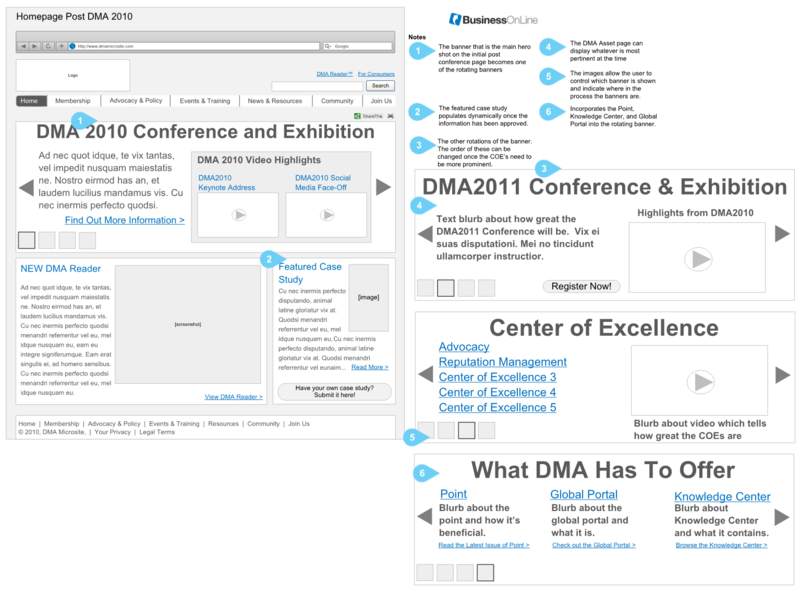 DMA was hosting a large conference and needed a microsite to promote their events, training, and additional signup opportunities. I built the sitemap and wireframed out the website. 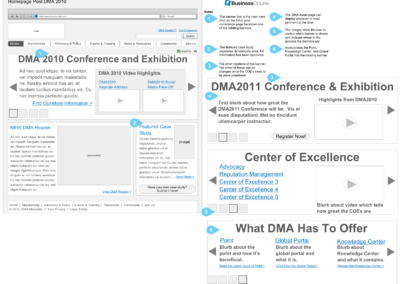 The DMA microsite was seemlessly turned on when the launch time hit. The final website was able to meet the short term needs for the conference as well as allowing for expansion once the conference was completed. The developers were clear on what needed to be accomplished due to the detailed UX design. 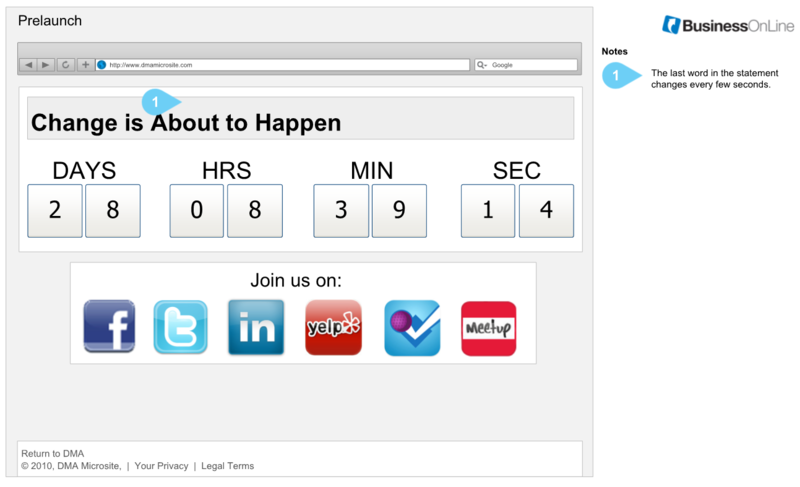 Client was incredibly happy with the wireframes and final site. 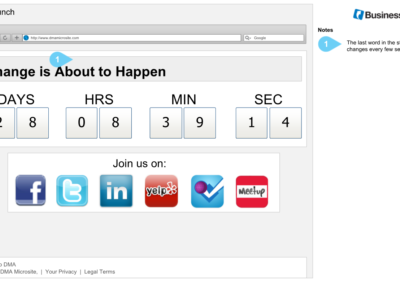 This countdown page would be visible until the DMA microsite launched. The last word in the main text would change as the countdown continued. This was the home page with all of the different hero shots available for viewing. 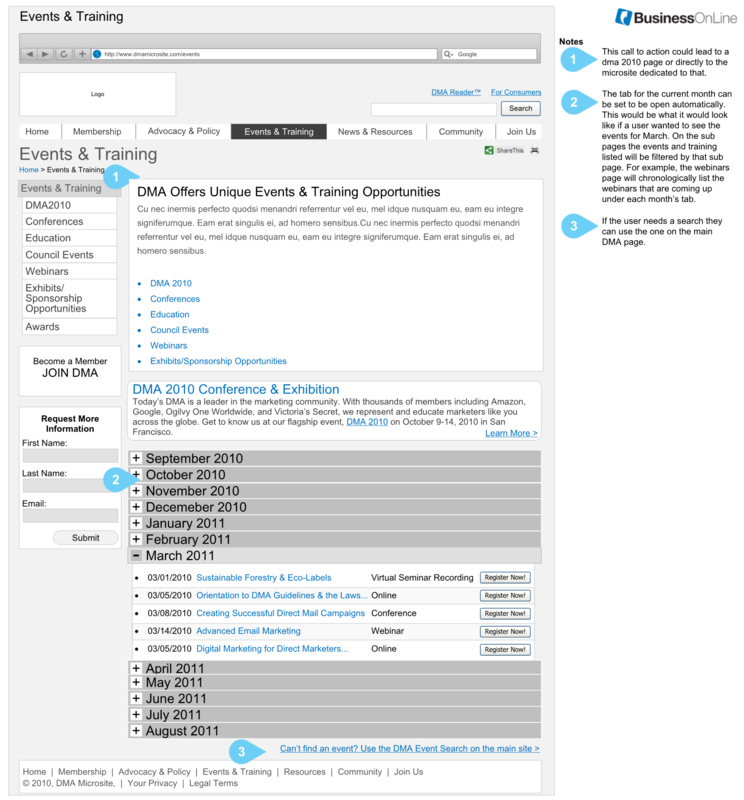 This used an accordian style organizational structure to display all of the training events. 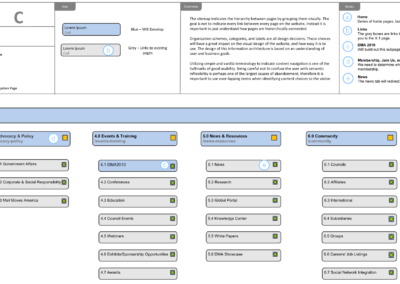 This sitemap was used to help define the informational architecture of the website and create an easy view for identifying the areas needing additional work.